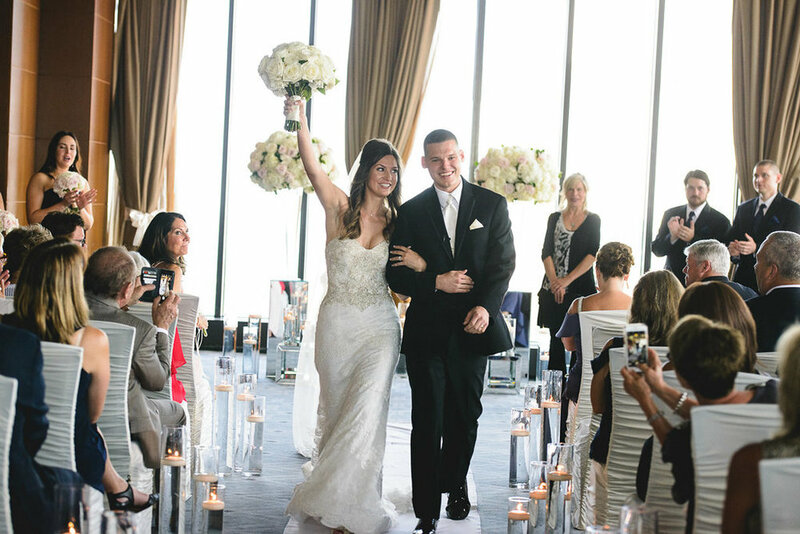 This week we're highlighting Brianna & Austin's wedding that took place on July 15, 2017 at Windows on Minnesota in downtown Minneapolis. Brianna found us on the Minnesota Brides Facebook group in October 2016 when she found herself in the midst of wedding planning, but in need of some help from a professional especially since she was planning all the way from Utah. 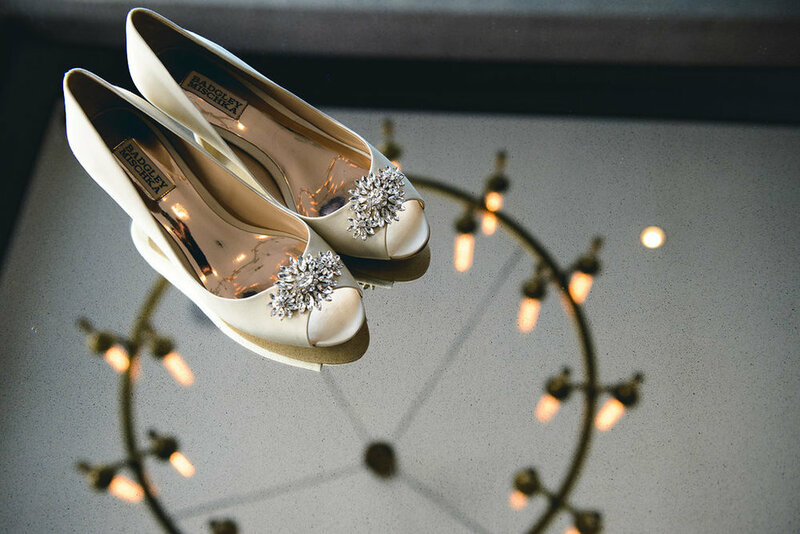 When she mentioned she had most of her vendors secured, but was looking for some help day-of and bringing it all together, that's when we told her our Partial Planning package may be exactly what she's looking for. Just a few short days later... we started working together! We finally got the chance to meet her in person about a month later when we met at Linen Effects go discuss linens and chair covers. We went back and forth and finally decided on tiffany cashmere linens, ivory ruched chair covers and brilliance blush sequin table linens for the head table. From there, we kept in touch over email and met once or twice more before the big day to go over the final details in the planning process, the wedding day timeline, and more. Fast forward to the week of the wedding -- we attended Brianna & Austin's rehearsal at Windows on Minnesota. 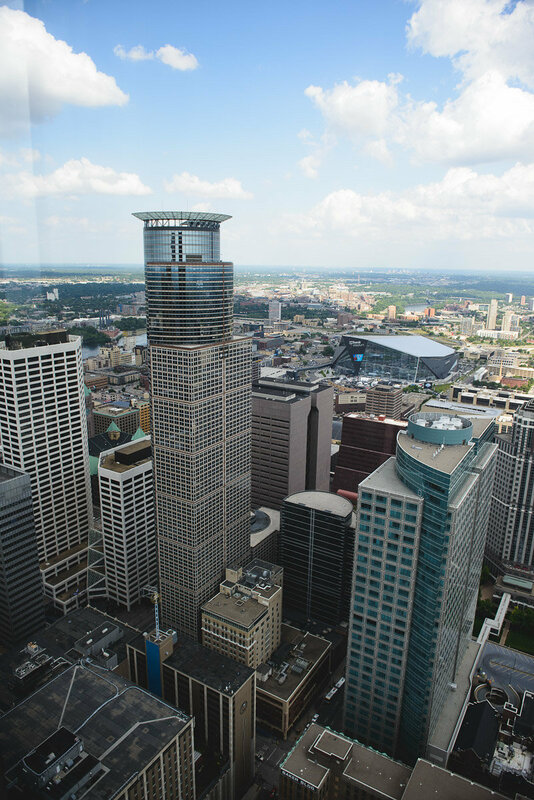 This is an amazing venue located at the top of the IDS Center in Downtown Minneapolis -- all the up on the 50th floor. Once you're up there, talk abut a VIEW! The day of the wedding, Melody, Rachel and Maggie showed up and starting setting up the final touches. Everything was beautiful down to every last detail! As guests starting arriving at the very top floor, you could hear them gasp when they got off the elevators -- the view literally took their breath away! Well, I wouldn't lie if I told you some people were a bit frightened at first (scared of heights). The ceremony took place in one room, while the cocktail hour took place in the hallway and the reception in another room. Talk about a smooth transition! The night went on to include a delicious plated meal, speeches, and dancing. Brianna & Austin -- CONGRATULATIONS! Wishing you many years of love, laughter & happiness. 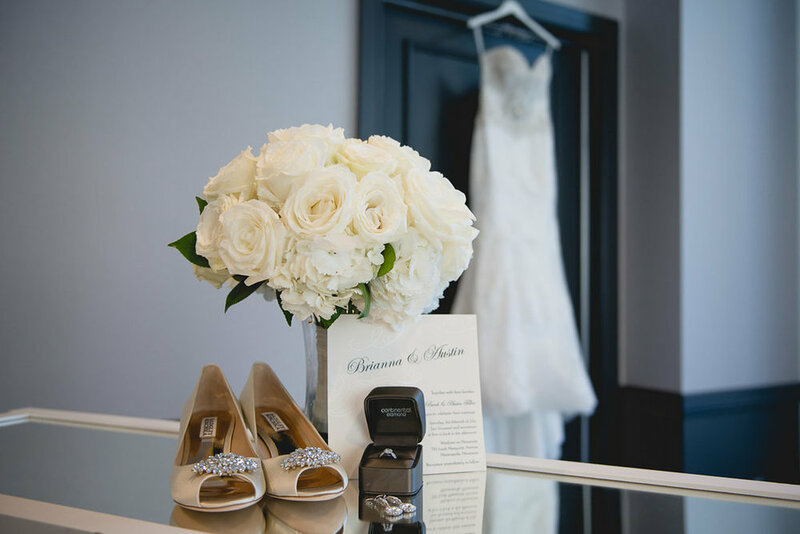 We are so glad we could help plan your special day. To view more photos from Brianna & Austin's wedding, click here.